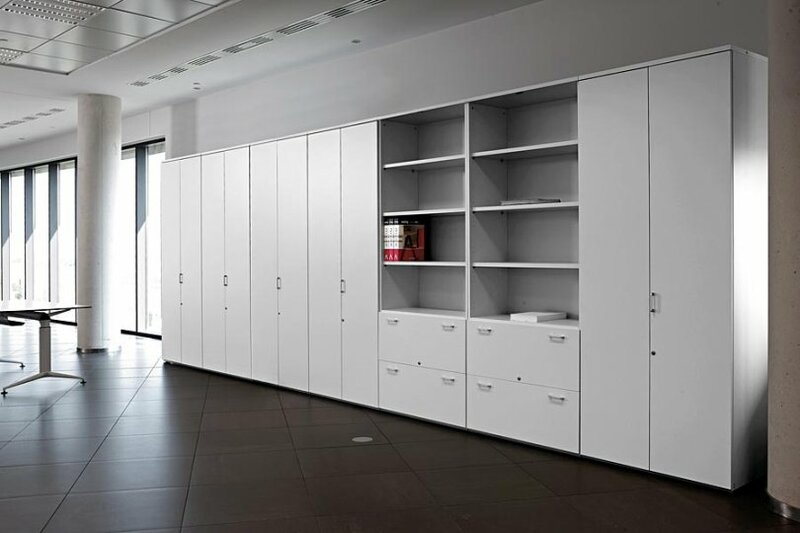 The Armarios range of executive cupboard is a modular system of executive storage cupboards that can be combined to make a variety of different style units from simple white cupboard to executive storage suites with wood and glass doors. The Armarios range complements the design and finishes of many of our other executive ranges including the vital range of executive desks. For help planning your new Armarios storage range why not take advantage of our free design and space planning service, our in house team will take your brief and design a scheme around your needs producing 3D visuals and detailed plans to enable you to see exactly how your project will look once completed, we ensure that our designs not only meet the design and practicality needs of the business but also conform to budget restraints. For more information contact our team or view the Armarios storage range online.